Our committed law firm is ready to take on your case in St. Charles, Illinois, and seek resolution for conflicts related to family, immigration and criminal matters. At Vergara & Favia Law, LTD, we believe in honest communication and a goal-oriented approach from square one, and we use our 20 years of combined experience to advocate for you. Whether you are located in Kane, DuPage or Kendall counties, our legal team delivers excellence every step of the way. Because our skilled attorneys draw from diverse backgrounds and experience spanning a gamut of legal issues, our law firm is able to provide niche representation across a range of scenarios. When it comes to criminal matters, we are able to serve you in a number of situations, including traffic violations, DUI, drug charges, theft, assault and battery, misdemeanors and felonies. Although these types of allegations are often serious and carry hefty consequences, we always keep an impartial attitude and work tirelessly to ensure your voice is heard and your rights remain intact. Beyond criminal charges, we can also help when you are facing complex family law conflicts. While no one likes to talk about them, divorce, child custody and visitation rights cases can create lasting emotional and financial consequences for generations. 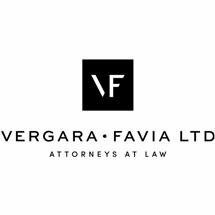 At Vergara & Favia Law, LTD, we always put the needs of you and your family first as we work together to create a prosperous future. We are pleased to accept credit cards.